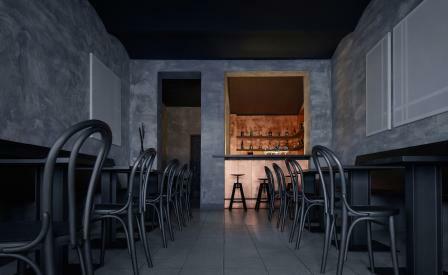 On a quaint cobbled street, not far from the Renaissance château that dominates Litomyšl’s old quarter, Copper Bar is the latest opening from hospitality duo Jan Hubinka and Jakub Havran to sit alongside the town’s contemporary art galleries and restored palaces. Architecture graduate Tomáš Zavoral has smartly tackled the venue’s boxy confines with a recessed feature bar that, clad with copper sheets, creates an iridescent glow against the inky black hues that shade the rest of the space. Serving up an enticing selection of fresh cocktails, alongside local craft beers, this new hotspot is the perfect stopover for a pre-prandial tipple before heading to Havran – a popular steak restaurant from the same duo – less than a minute hop away.